Today's project is assembling a pair of 13 element Cushcraft YAGI antennas, (26B2). I didn't realize they were going to be so LONG! In the photo you see one boom assembled, and it pretty much takes up the entire living room! 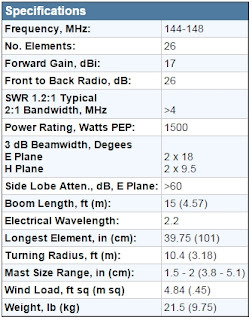 The inset picture shows the pair of antennas in a vertical arrangement, but mine will be mounted horizontal for SSB and weak signal work. The antennas will be phased with a coaxial harness to match the 50 ohm impedance of the feed line and transceiver. 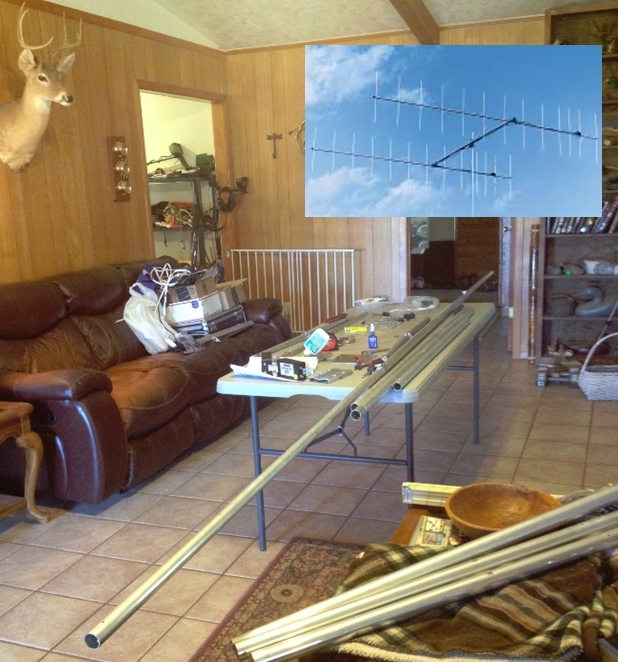 Currently I have a 10 element Cushcraft YAGI, mounted horizontally that I can work stations on SSB with, into Denton, TX., Houston, TX. Oklahoma and Arkansas. 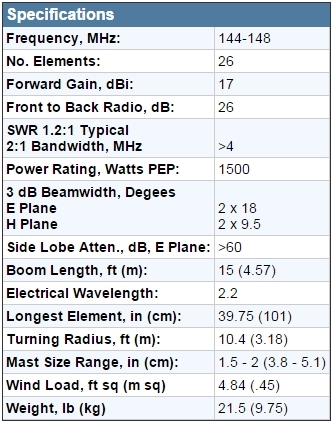 I'm hoping that with the higher gain of the dual antennas that my range will be a good bit greater.